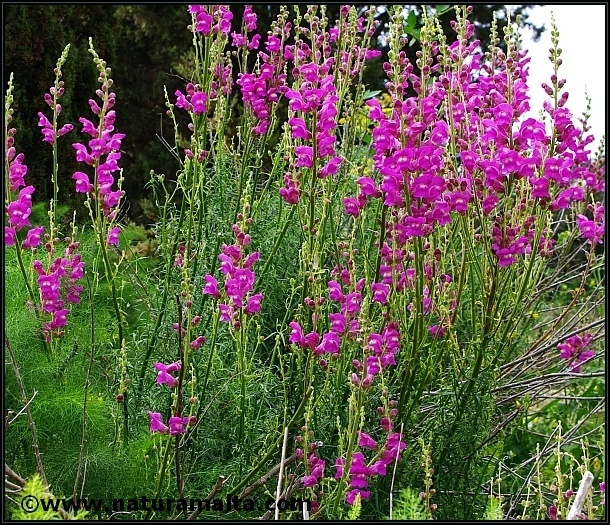 Antirrhinum tortuosum Bosc ex Lam. 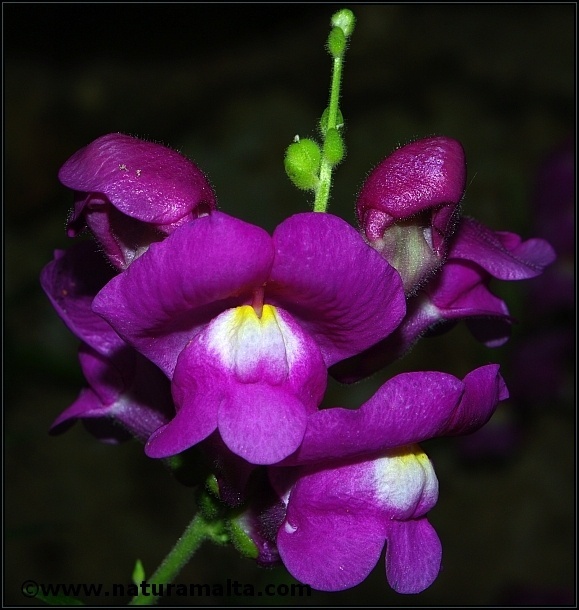 The Greater Snapdragon (Antirrhinum tortuosum) is a common plant which is very visible when in flower due to the intense colours of the flowers. It is native to the Mediterranean region and is sometimes considered as a subspecies of A. majus. The flowers are pollinated by species of Bombus as these species are large enough to open the flower.